The Crisps you love, baked to perfection in a convenient single serve package. Who says snacks can’t be part of a healthy lifestyle? 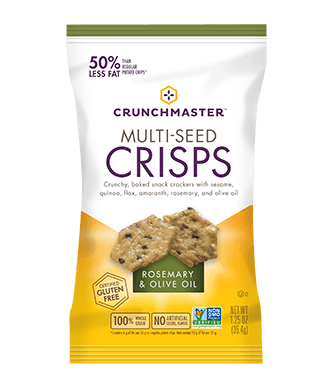 These wheat-free, gluten free, cholesterol-free, trans fat-free snacks are also low in saturated fat, low in sugar and packed with baked rice goodness. 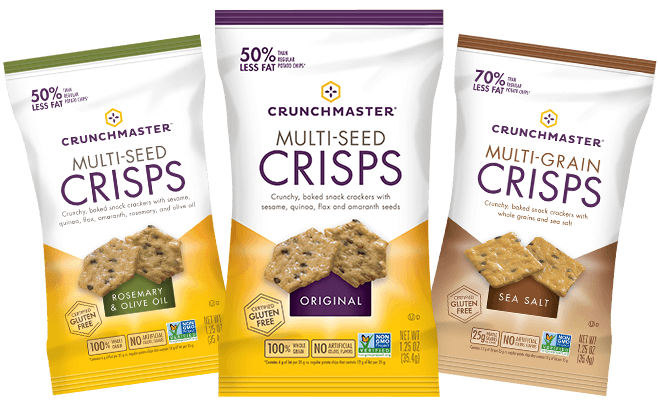 And the single serve packs are perfect for your on-the-go lifestyle. 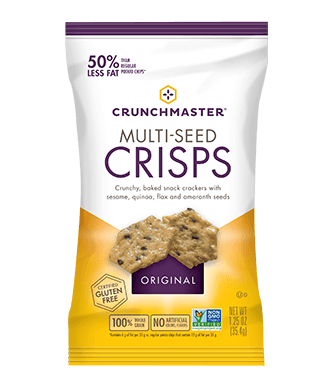 Our multi-seed and multi-grain crisps are made with the very best ingredients and are made in a peanut-free facility. Brown Rice Flour, Sesame Seeds, Potato Starch, Quinoa Seeds, Safflower Oil, Flax Seeds, Amaranth Seeds, Tamari Soy Sauce Powder (Tamari Soy Sauce (soybeans, salt), Maltodextrin [corn], Salt), Salt. Contains Soy. 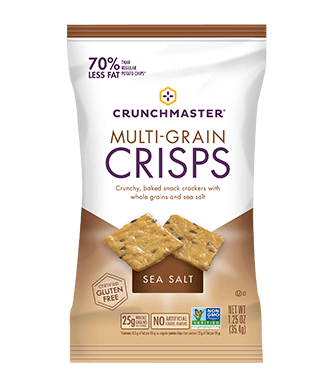 Brown Rice Flour, Whole Grain Yellow Cornmeal, Potato Starch, Safflower Oil, Oat Fiber, Cane Sugar, Sesame Seeds, Flax Seeds, Millet, Sea Salt, Quinoa Seeds.